As chef-owner of Ron Ben-Israel Cakes, one of the country’s finest couture cake studios, Ron Ben-Israel has made cakes that have been hand-delivered to destinations throughout the continental U.S. and abroad. Ben-Israel started his confectionery adventures after a 15-year career as a professional modern dancer. Martha Stewart discovered his cakes while they were on display in the windows of Mikimoto on Fifth Avenue. 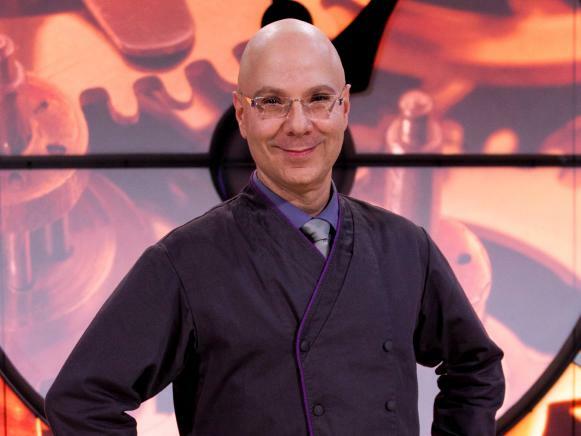 A visiting master pastry instructor at the International Culinary Center in New York City, Ben-Israel serves as host of the Food Network’s sugar-coated confectioner competition series, Sweet Genius. Mike Parker – I understand you started your career as a dancer. What sparked your interest in shifting from the performing arts to becoming a pastry chef? Ron Ben-Israel – It wasn’t so much a matter of making a conscious choice as it was the fact that I was aging. I couldn’t dance like I used to, so I channeled my creative energy into the visual arts. Parker – For the uninitiated, what is the difference between a pastry chef and say a sous chef or any other kind of chef? Ben-Israel – There are divisions between a culinary chef and a dessert chef, also called a pastry chef. There are specializations within the pastry chef field. Some pastry chefs specialize in baking breads, while others are master cake designers. Each field requires an exceptional level of creativity and attention to detail. 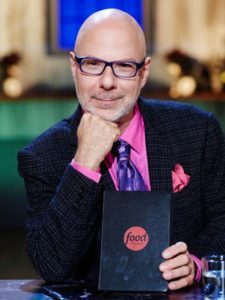 Parker – There is a tremendous amount of pressure on contestants on your show, Sweet Genius, to create a great dessert in a limited amount of time with a surprise ingredient. While it is easy to sit back and judge, have you ever felt, the heat of battle, as the Chairman on Iron Chef calls it? 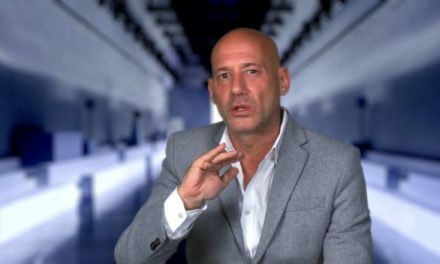 Ben-Israel – I have never been a contestant. I stand in awe of our contestents who put themselves and their skills on the line for everyone to see. I commend them for that. It is not an easy task, but it is also great fun. It is fun to work in this fantasy kitchen with all these wonderful tools and such a well stocked kitchen. And you have to remember, there is a $10,000 prize for the winner. That is a great motivator. Parker – What advice do you have for aspiring pastry chefs? Ben-Israel – Get good training. Apprentice in a reputable baker or pastry chef. Don’t limit yourself to the kitchen. Open your mind. Go to museums. Look at books on design in field other than the culinary arts. Expand your artistic vision. Ben-Israel – It is all about inspiration. I get quite emotional when our contestents bring me these wonderful treats. The most successful person is the one who is most inspired. That is true in food and in life.